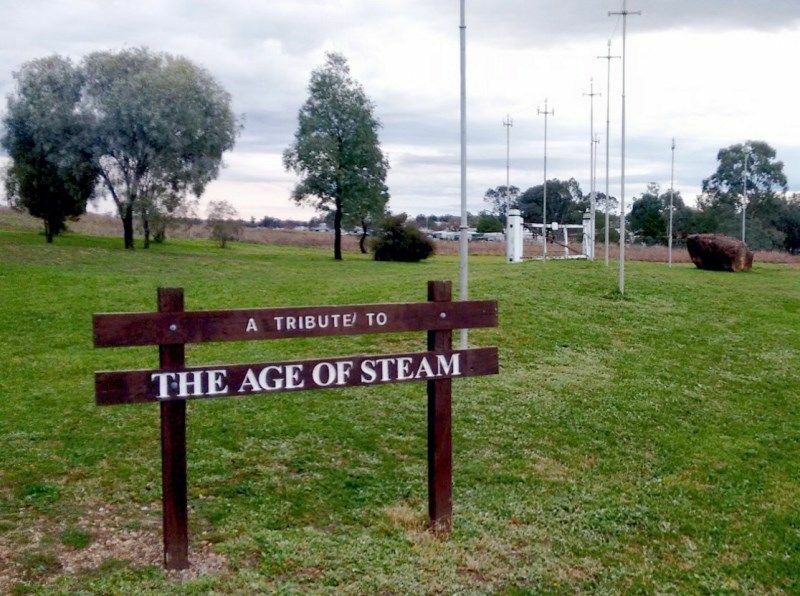 The Siemens and Oppenheimer Poles were erected to celebrate 130 years of Siemens innovation in Australia. 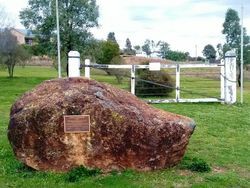 The poles were used on the telegraph lines between stations on the Tamworth to Barraba Railway which was opened in 1908. The poles are located at the site of the former railway yards. 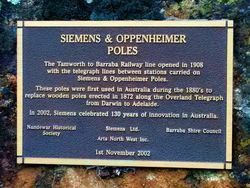 In 1872 Siemens supplied equipment for the Overland Telegraph Line; the 2,700-kilometre telegraph line between Adelaide and Darwin. In 2002, Siemens celebrated 130 years of innovation in Australia. Society Arts North West Inc.